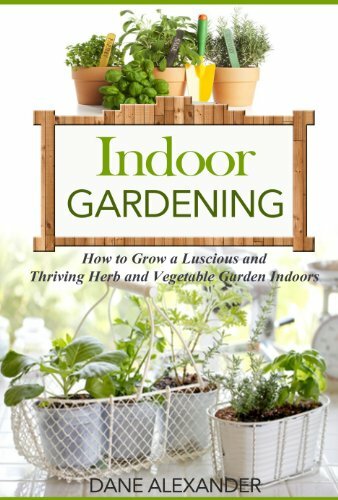 Many people think an indoor garden is a luxury that most of us cannot experience. 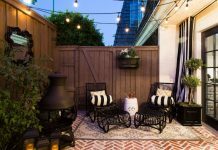 However, using the available space inside your home to host your garden is not as complicated as it may first appear. Growing an indoor garden has quite a few amazing benefits. Although the task of starting an indoor garden can seem daunting, having the right information makes it easy. However, there are some important factors you need to consider when you ​set up your indoor garden. Most of us do not live in a climate in which we can grow fruits and vegetables outside in our garden year round. 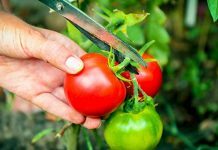 This fact makes life difficult for those who get satisfaction from growing their food, getting much-needed exercise and experiencing the enjoyment of watching life grow. The benefits of an indoor garden extend to those living in colder climates, as well as those individuals living in urban areas. Plants serve many valuable functions, such as cleaning the household air, improving the atmosphere in any room of the house, and providing delicious and fresh food. The amount of available space limits the size of an indoor garden. But the pleasures of growing flowers and plants are open to everyone, no matter the size of the garden. There are many factors to consider when we look at setting up an indoor garden. These factors include determining the location, what plants we wish to grow, the lighting system we will use, and the list seems endless. Setting up an indoor garden is easier than you might think. Follow these logical steps to experience the wonders of your indoor garden. 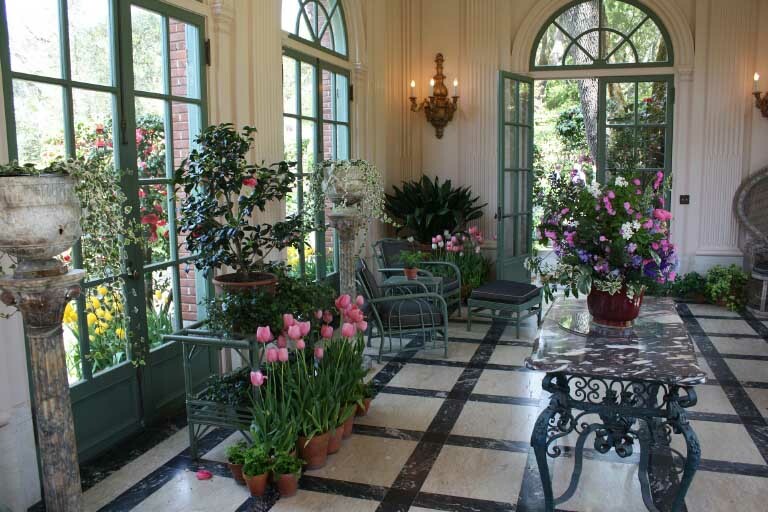 An indoor garden can use whatever space you have available in your living quarters. If space is tight, the possibility of growing all kinds of plants using the windowsill makes an indoor garden possible. 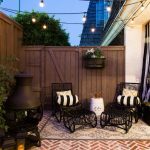 If you have sufficient space, setting up a designated area for your garden may be the better choice. Choose a suitable location that has a table or bench to support your plants. Be sure to plan for the collection of water underneath your garden space, or cover the ground appropriately if the floor is unsuitable. Another option for providing space for your indoor garden is the use of shelving units. The advantage of shelves is that they give a lot of space for your plants while taking up little floor space. Something to keep in mind here is that the use of shelves puts plants at differing heights, which may require you to get creative in making sure that all plants get sufficient light. You may even need to provide a separate grow light for each shelf. Plants use light to fuel their growth, a process known as photosynthesis. Without an adequate amount of light available, plants will not grow to their full potential. The effects of insufficient light may vary from the extreme case of not growing at all, to problems of not blooming or producing fruit in less severe cases. So ensuring that your plants get sufficient light is a primary concern when setting up your indoor garden. And keep in mind that plants growing near a window or even on the windowsill will probably not get enough sunlight during the winter months. Most vegetables and other plants grow best with 14 to 16 hours of sunlight (or simulated sunlight) daily. So something to consider for your indoor garden is purchasing a grow light to ensure your plants get enough light to maximize their growth. Should I purchase a grow light? Purchasing a grow light involves more than just buying a light bulb. You must also buy a reflector, a cord, a ballast, as well as other components specific to your garden’s needs. You have the choice of purchasing a lighting system, which only requires you to plug in the system for it to function, or you can choose to buy the components separately and install the system yourself. No matter which type of grow light system you choose, here are four important ideas to consider to maximize the effectiveness of your indoor garden. First, the light that plants require is a particular wavelength for photosynthesis. The grow light you choose must have the same wavelengths as the sun. So a regular lightbulb will not work in your indoor garden. Second, you should install the grow light as close to your plants as possible. This maximizes the amount of energy available to your plants for growth and development. Third, you must monitor signs of whether your plants are getting enough light. As mentioned above, most vegetables and other plants require between 14 and 16 hours of sunlight (or simulated sunlight) a day. Signs of not enough light include plants having small leaves, thin stems, and a lighter than usual color. Many different kinds of grow lights are on the market. 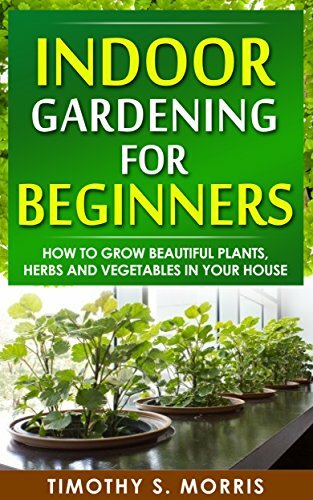 This can be confusing for a novice gardener. Fluorescent lights are best for growing herbs and other plants that do not require a lot of light. So they are not ideal for plants that bud or flower as they do not emit enough light. They are quite inexpensive and found in most stores. Incandescent lamps are cheap and easy to find in stores. They would be sufficient for houseplants, but may not provide adequate light for flowering plants or plants that require lots of light. Compact fluorescents are more efficient bulbs than older style fluorescent lights, and you can use them for all plants. Also, they produce less heat than incandescent lamps so you can place them closer to plants to maximize the available light for your plants. Finally, high-intensity discharge bulbs are the brightest and most efficient lights available. But they also tend to be the most expensive. Generally, temperatures between 65 and 75 degrees Fahrenheit are best for plants. A variation of 10 degrees will normally not adversely affect plants. But plants that are too hot will be weak and small. This leaves them susceptible to physical challenges such as wind gusts or insects. Plants that grow in temperatures that are too cold have leaves that are yellow and that fall off the plant. The green color of healthy leaves is the result of the presence of chlorophyll, which is critical to the plant's photosynthesis abilities. Leaves that are not green are unable to contribute to the growth and health of the plant. A lack of moisture is a common problem for many gardeners trying to set up an indoor garden. Lacking enough moisture is particularly common during the winter season, which is typically drier than the summer. Often, the use of indoor heating further removes important moisture from the air, which adds to the problem of air in the wintertime containing not enough moisture for plants to flourish. There are many ways to counteract the humidity problem you may experience for your indoor garden. First, mist your plants every day, or even more often if necessary. Second, place a tray of water filled with lava rocks to encourage evaporation (evaporation means that liquid water changes into the gaseous state). A water tray may help plants get the moisture they need from the air. 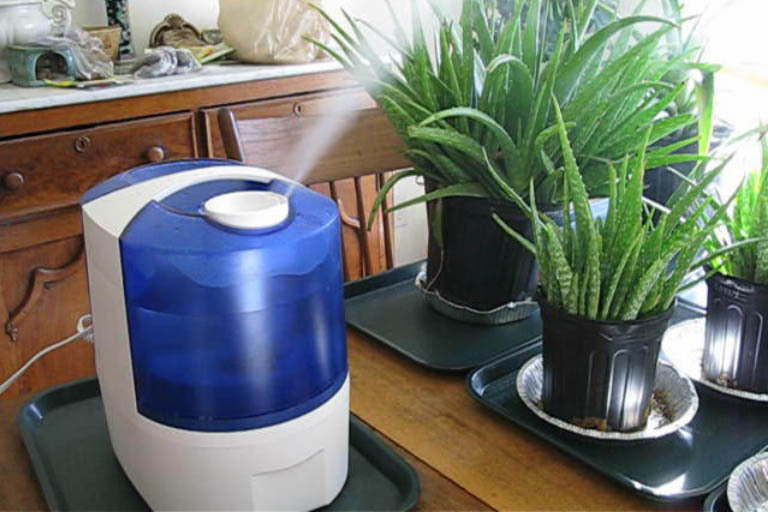 And you could also use a humidifier, which provides benefits for plants and your human family as well. 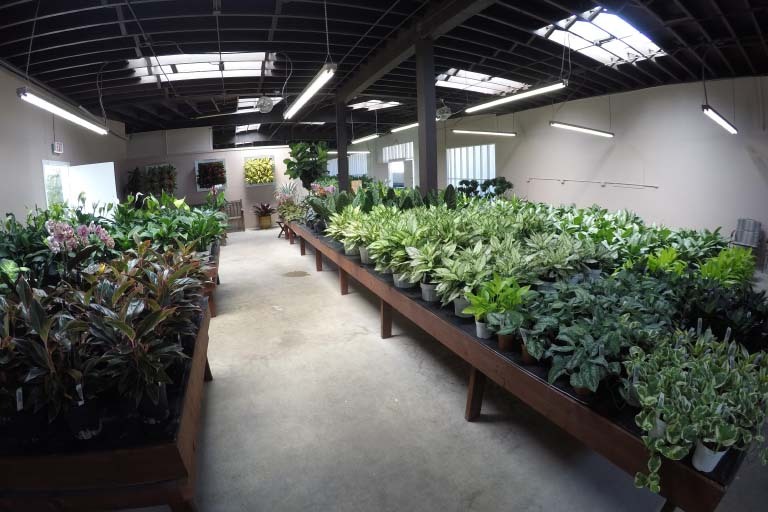 It is important for indoor gardens to utilize a good planting medium. And soil found outside your house is not the ideal solution. This is because soil found outside often contains materials that plants don't need, as well as seeds from other plants and insects. Look for a soil mix that is specific to the needs of indoor plants. Indoor gardens work best with a soil that remains loose and drains well. Also, the best soils contain the right about of organic material to retain nutrients and moisture. As an alternative to using soil, you may wish to use hydroponics. Growing plants hydroponically involves you providing the nutrients directly. 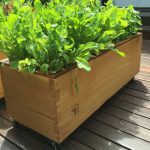 Advantages of growing plants using hydroponics include faster plant growth, smaller containers used for plants, and plants are less likely to become infected by diseases. Pretty much any plant will grow indoors if it has enough space to do so. But it is important to consider growing plants with similar light, humidity, and water requirements together. Otherwise, it will be difficult to find the right balance to keep all your plants healthy. 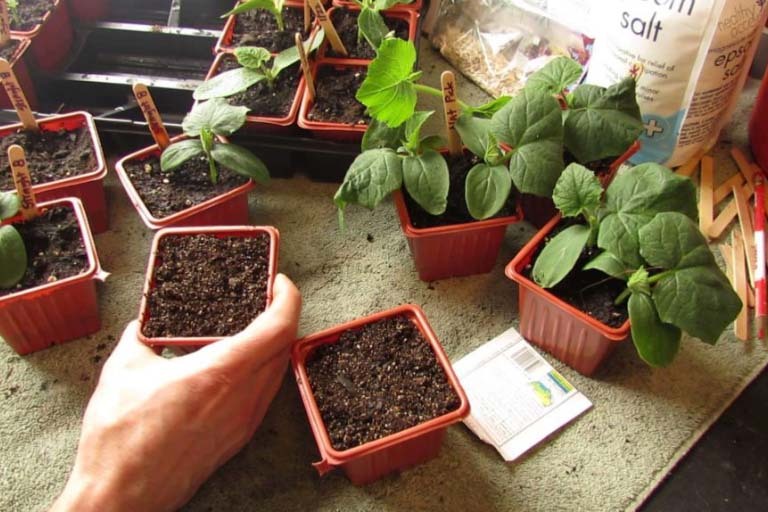 You can grow plants by starting from seed or transplanting them from your outdoor garden. The choice is entirely yours. To ease the transition of indoor plants to life outdoors, employ these simple steps. 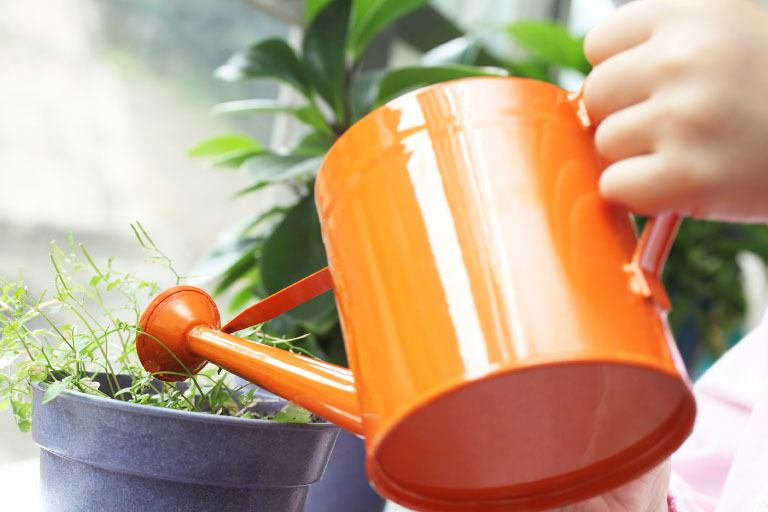 First, 7 to 10 days before transplanting your indoor plants, place them outside for three to four hours in the shade. Next, increase the amount of time spent each day outdoors by one or two hours (be sure to bring your plants inside every night). After the first two or three days, put the plants in the morning sun, and place them in a shady area in the afternoon. Lastly, after 7 to 10 days, transplant your plants. Ideally, you can transplant your plants on a cloudy day. And be sure to water them thoroughly. Moving plants from outdoors to indoors requires similar care. After potting your plants (if necessary), they will also need a transition period of slowly increasing the time spent indoors. 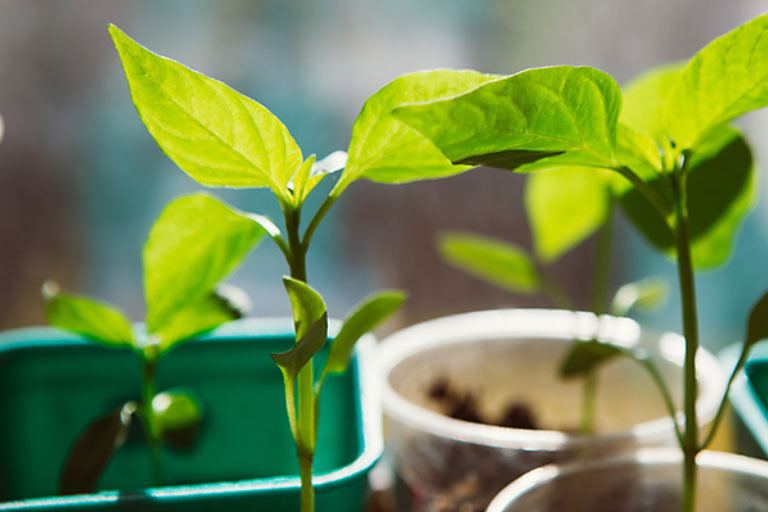 Once your indoor garden is up and running, it is important to maintain the health of the plants and the environment. This includes proper watering, staking when necessary, pruning, and keeping the area free of excess waste and external threats. It is important to note that plants grown in containers require more frequent watering than plants grown in open soil. This is because they dry out quicker than plants grown in open soil. So add enough room-temperature water that it runs through the holes in the bottom of your container. Plants give you clues when they are receiving too little or too much water. Signs that you are overwatering include wilting that starts from the stem toward the leaves, lower leaves drooping, and discoloration of the plant. It is likely that you are underwatering your plants if you notice that wilting occurs along the outer tips of the leaves, the soil seems dry, and there are brown edges along the leaves. Indoor plants require additional nutrients and fertilizer. This is because plants quickly use up the nutrients in the soil. Plants also lose nutrients during watering. 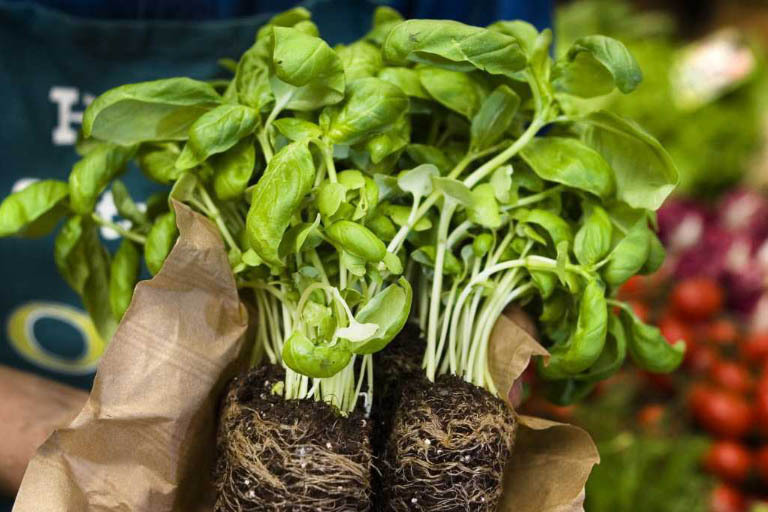 Be sure to regularly replenish nutrients in the soil to improve the performance of your indoor garden. First, place enough compost to fill approximately one-third of the bucket. Next, add water until the bucket is full. Let the mixture settle for at least a few hours (a few days is also okay). Strain the mixture into another container using a fine screen. Then dilute the remaining liquid by adding enough water so that it resembles the color of weak tea. 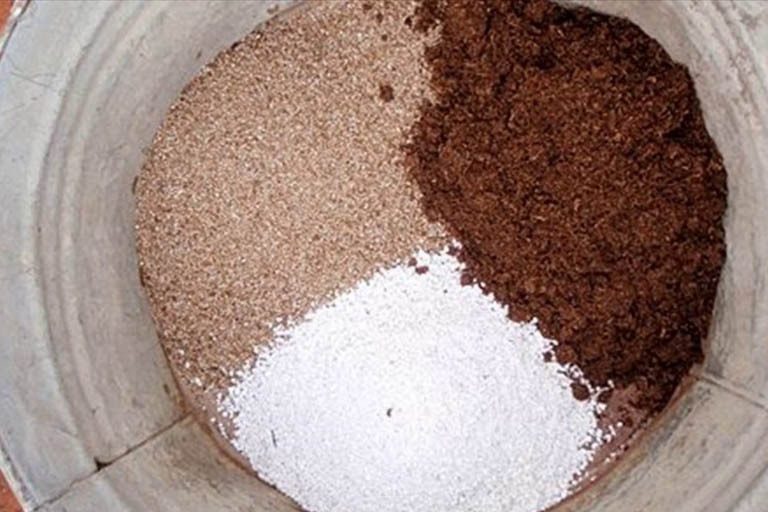 Simply add the compost tea to your soil and watch your plants grow. 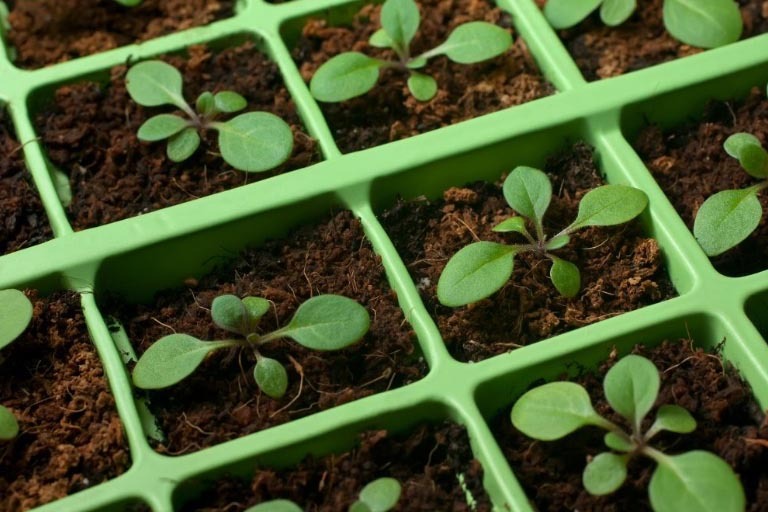 There are incredible benefits to starting your indoor garden. 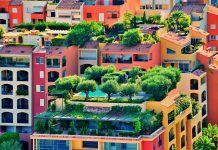 The satisfaction of watching life grow, the exercise associated with the delicate care required, and the bounty of fresh food are but a small sample of the benefits you will experience by adding a touch of the outdoors to the inside of your housing. 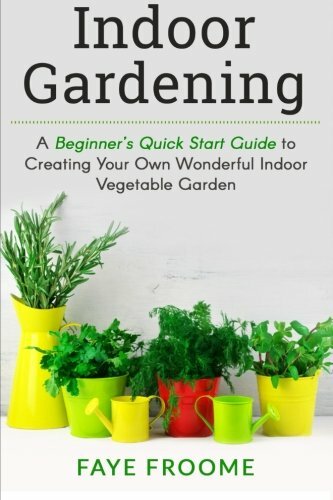 Do you have any tips on starting an indoor garden? Please share in the comments below.